About two hours ago, news broke on social media that Nigerian male barbie Bobrisky has been allegedly arrested in Lagos. 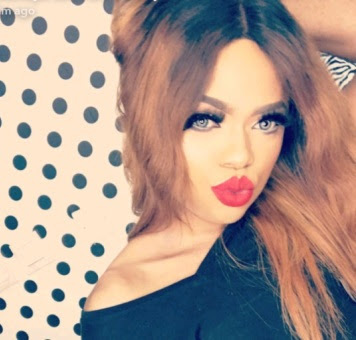 The report said Bobrisky's arrest may be connected to the lingering fight between him and serial entrepreneur Toyin Lawani. Now here's what GIFTEDBLOG knows so far. We put a call through to Toyin Lawani, her personal assistant who spoke to us said 'please she has nothing to do with that. You peoople should stop linking her to it'. Another close associate to Toyin Lawani confirms her claim saying, 'Toyin won't stoop so low'. We have also reached out to the Lagos State Poolice PRO, Famous Cole who said, 'I'm not aware of such arrest at the moment. Maybe he was invited for questioning or he went voluntarily to make a complaint'. From the photos circulating, Bobrisky is without any footwear and he looks visibly distraught which clearly means he didn't go there voluntarily. He's also not reachable at the moment as his mobile phone is switched off. A source however tells GIFTEDBLOG that Bobrisky's arrest may be connected to his social media post yesterday where he came out as 'GAY', a criminal offence with a 14-year jail term in Lagos State. We'll keep digging and bring updates as soon as we have it.